The Pakistani flag is four days older than the nation itself, although it is based on the significantly older flag that was used by its independence movement. The flag's use of an unusual shade of green is so noteworthy that the shade came to be named after the nation of Pakistan, which gives the Pakistan flag extra significance beyond its role as a symbol of the Pakistani people and their homeland. The national flag of Pakistan was adopted in its present form during a meeting of the Constituent Assembly on August 11, 1947, just three days before the country's independence, when it became the official flag of the Dominion of Pakistan. It was afterwards retained by the current-day Islamic Republic of Pakistan. The flag is a green field with a white crescent moon and five-rayed star at its centre, and a vertical white stripe at the hoist side. Though the green colour is mandated only as 'dark green', its official and most consistent representation is Pakistan green, which is shaded distinctively darker. The flag was designed by Amiruddin Kidwai, and is based on the All-India Muslim League flag. The Pakistani flag has a field of Pakistan green with a white stripe that runs along the hoist. 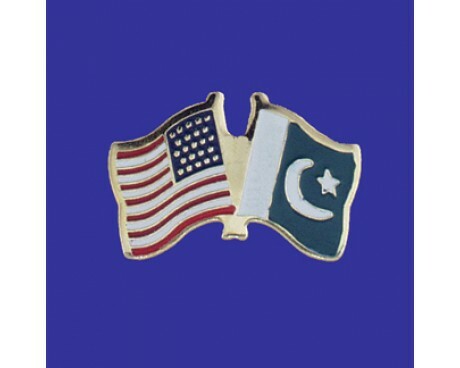 A white star and crescent emblem is placed in the center of the green portion of the flag. The design was chosen in order to represent the religions of the nation's people. Green is a traditional symbol of Islam, which is the most common faith in Pakistan. The green field makes up the majority of the flag in order to reflect the fact that Islam is the nation's majority religion. The white stripe represents the country's religious minorities. The combination of the two colors reflects the intentions of the nation's founders to create an Islamic nation that respected the rights of other religions. 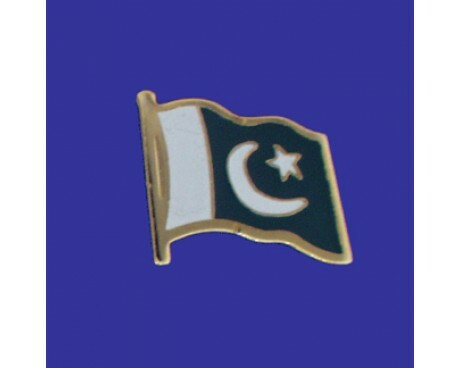 The star and crescent emblem is also a common symbol of Islam, but when it is used as part of the Pakistan flag is also represents light and progress. 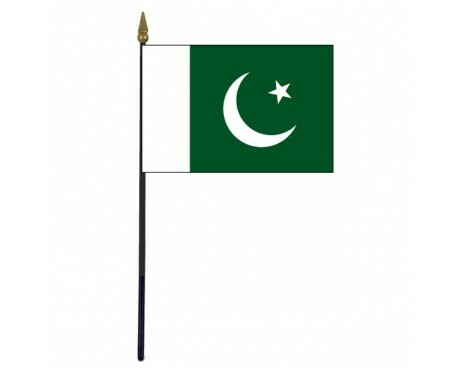 Pakistan has used a single flag for the entirety of its existence. The nation was once part of British India, but the colonial flag of India had no influence on the flag of Pakistan. The flag was designed by Amiruddin Kidwai, who chose to base his design on the flag of the All-India Muslim League, a political party that worked towards the establishment of an independent nation for Indian Muslims. 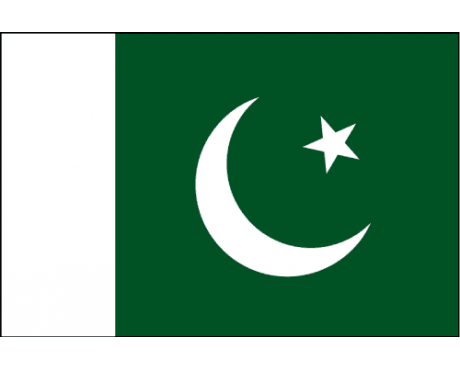 The League's flag included the same green field as the modern flag of Pakistan, but it lacked the white stripe and often reversed the direction of the star and crescent emblem. Kidwai submitted his design to the leaders of Pakistan shortly before the nation formally gained its independence, and it was approved only four days before the nation was born. It has never changed, which makes Pakistan one of the few nations that has used the same flag for every day that it has existed as an independent nation.